My Mother in Law used to make this recipe and I loved it. I am sharing it with you. 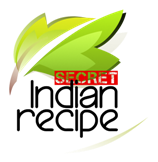 Alka Dighe's Secret Indian Recipe ! Fresh coriander leaves chopped for garnishing. Heat the oil in heavy bottom pan. Fry the onions till translucent and soft. Add all the powders one by one; stirring each time you add a spice. Stir till well mixed. Now add the fresh ground masala and stir to mix. Add the chicken pieces and stir to mix. Cook till chicken is done. May add little water if more gravy is needed.Stir the chicken occasionally so it does not stick to the pan. Fresh Black/Garam Masala Ingredients: 1. Dry grated coconut ½ C 2. Mustard seeds 1tbsp 3. Coriander seeds ¼ C 4. Cumin seeds 4tbsp 5. One small onion finely chopped 6. Red dried pepper to taste 7. Black pepper 2tbsp 8. Cloves 2tbsp 9. Cinnamon stick 1 large broken into pieces 10. Fennel Seeds 2 tbsp. 11. Methi seeds 2tbsp. Method: Sauté all the above ingredients individually in small amount of oil (1 tbsp. Approx.). Blend while warm till very fine. Store in fridge for a week or store in freezer in portions you will need for one time.